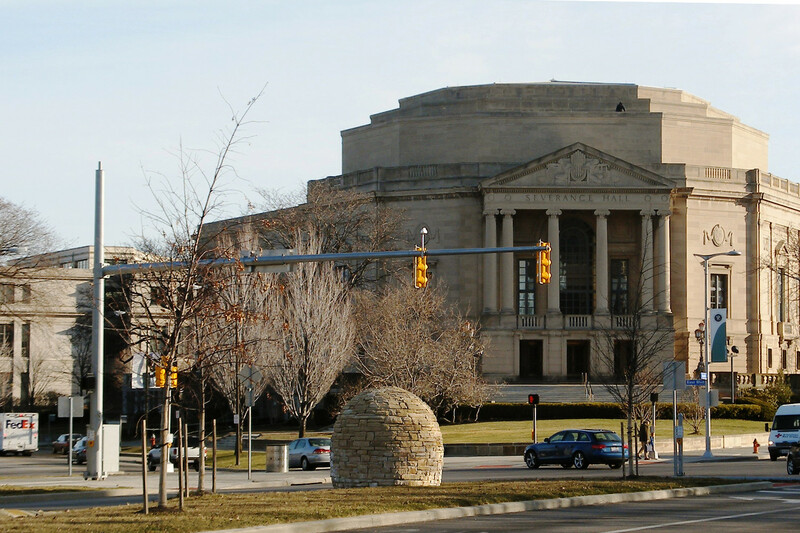 As a permanent public art installation for the region-wide transportation improvement project, Euclid Corridor, the site sits at the center of a cultural and academic hub in Cleveland known as University Circle. The design approach to the installation, largely inspired by how institutions absorb ideas and character form each other through sheer proximity, celebrates the universal form of the circle. This site is influenced and transformed by the shape through both contrasting materials and morphed ‘spheres of influence’. The proximity of the forms to each other alludes to the catalyst for change, much in the way that each institution represented in University Circle exists for advancement in their respective areas of study.